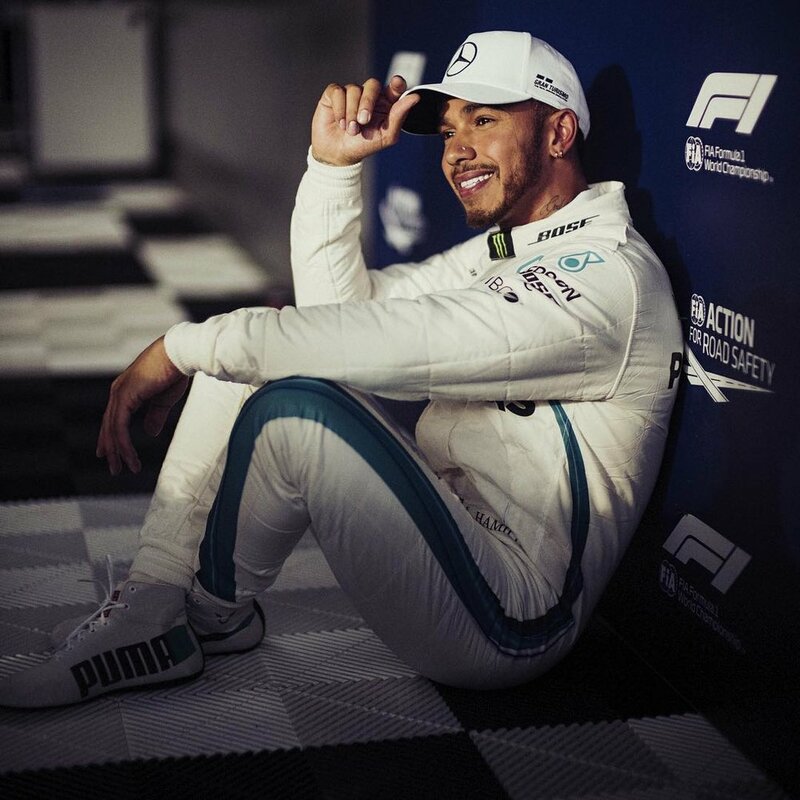 What an exciting start to the 2019 F1 season! I love a good first turn upset and seeing someone other than Lewis win! The start to the season was definitely a tough one with the sudden passing of Charlie Whiting, who was adored by everyone in F1, just before the first race. But as Martin Brundle says, the world keeps turning and the race must go on. All in all it was a great race, the cars looked crazy fast, and there was more than just strategy calls mixing up the field. For the Australian Grand Prix this year we made Grilled Shrimp and Corn Rolls with Smashed Avocado spread. They were delicious! Served with a bright little salad and a few bottles of Cooper’s Beer, it was a lovely start to the new season. I couldn’t resist find a recipe for grilled shrimp, just so I could say we were having shrimp on the barbie! Shrimp on the barbie is one of those things that Americans in particular think all Australians eat and say and indeed that it is a pastime of the ages. According to the internets it actually originated from an Australian Tourism ad campaign with Paul Hoge where he states “there’s plenty of shrimps on the barbie”, I’ve posted the video below for your viewing pleasure. I suppose the world just took it from there! Liam Hemsworth, on the Late Show with Stephen Colbert is particularly adamant that this is one of the most annoying things people say to him, perhaps even more than “thats not a knife!”, furthermore, they don’t even call them shrimp! So maybe we will make amends by doing a prawn boil next year and writing an apology letter to Liam Hemsworth and all of Australia for our terrible attempts at Australian accents and for insisting that we all eat more shrimp on the barbie! Preheat a grill to high. Drizzle corn with a little oil and grill, turning occasionally, until tender and slightly blackened (15-20 minutes). At the same time, grill the lime halves, cut-side down, until char marks appear and they become juicy (4-5 minutes). Remove both corn and limes from grill and set aside to cool. Meanwhile, thread shrimp onto metal skewers or soaked bamboo skewers, drizzle with a little olive oil and juice of a grilled lime. Season with a few pinches of spiced salt and set aside for flavors to combine (10 minutes). Scoop avocado into a bowl, add onion, garlic, chili and a little oil, season to taste with spiced salt and coarsely smash the avocado. Squeeze in juice of barbecued lime to taste, stir in cilantro and set aside. Grill the shrimp, turning once, until they’re just cooked through (3-4 minutes). Meanwhile, cut corn kernels from cobs. Once cooked, remove shrimp from skewers. Spread rolls with a little mayo on the bottom, spread smashed avocado on the top and stuff with shrimp and some grilled corn. Serve with lime halves and extra spiced salt to taste. And Liam Hemsworth telling us to cut it out. (Minute 4:35, if you don’t want to hear about his water buffalo catching father and being stuffed in a dryer by his brother). For the Australian GP, I went on a serious hunt for a proper Australian cocktail. My research efforts were mostly met with overly sweet, fruity, sugar bombs. Just to give you a few examples: Watermelon Spritz, Pretty in Pink Vodka Cooler, Giggly Rose Cocktail... no thank you. According to one Australian food author, there are no truly Australian cocktails because, "our laid-back Aussie culture sits at odds with the fussiness of cocktail making", so he suggests an easy to make beer-based punch. Hmm. Well, maybe that answers why it is so hard to find a good cocktail that is quintessentially Aussie, maybe there are none? Not to be deterred by sugar overload or food authors naysaying, we tried a few outliers that sounded like they might hit our mark, including the Dead Man's Drop and the Beachcomber. The first was a little too adventurous (though it gave us an excuse to use our chocolate bitters) and the second didn't veer too far from a standard Mai Tai, tad boring. Finally we found a winner in the Spiced Pineapple Pitcher cocktail. Tart, punchy, just enough sweet and a great complement to an F1 Grand Prix. Hope you enjoy it too! Add pineapple wedges, lime slices, and mint in the bottom of a glass, muddle until very juicy. Add ice. Add both rums, pineapple juice, and ginger ale. Mix with tall spoon until well blended. Serve with a pineapple wedge for garnish. For the Australian Grand Prix I pulled a few recipes from a 1990's-era nouveau cuisine cookbook: A Taste of Australia. We made Chilli Salt Squid Salad and a Tandoori Marinated fish. Cooking with squid is relatively new to me, and this was only my second time making calamari. It turns out to be super easy (given that the squid is cleaned ahead of time for you)! The spice blend on the calamari and the kick of chili in the dressing for the salad were surprising flavors and really quite good. With my penchant for vegetables and simpler meals, I think the salad would make a good meal in itself. Served with a nice cold glass of Australian chardonnay I'm set! Australia is always a great spectacle because it is the start of the season and everyone is raring to get back into the swing of things. The race itself was not very eventful when it came to championship challenges, overtaking, or on track drama. Only the double retirement of the Haas team and the heartbreaking video of the distraught mechanics broke up an otherwise straightforward race. It was great to see McLaren in good form and Alonso do what he does best: go fast! Ricciardo was also fun to watch, there is always a little more punch when it's one's home race. We cheered and watched rapt the whole race because no matter what the race was or was not, F1 IS BACK! To make dressing, cut the chili peppers in half lengthwise. Place the rice vinegar, sugar, and chili peppers in a saucepan over medium heat, reserve lime for adding at the end. Stir to dissolve the sugar and simmer for 20 minutes or until the mixture has reduced to a thin syrup. Remove from the heat and add the lime juice. Strain and let cool. To make seasoned flour, mix the flour and spices together and set aside. To make salad, slice squid into 1/2 inch rings. Finely julienne the peppers, carrot and chili pepper. Finely slice the onion and mix it with other vegetables. Heat vegetable oil to a depth of 2 inches in a deep saucepan over a medium heat. Dip the squid in the flour mixture until each piece is well coated and then fry until the flour is crisp, about 1 minute. Drain and then slice the squid into 1/3 inch thick rings. To serve, add the squid to the prepared vegetable and pour over the dressing. Toss and add the chopped cilantro. To make paste, peel the garlic and ginger and chop roughly. Quarter the tomato and remove the seeds. Chop roughly. Place all the paste ingredients in a food processor or blender and process to a fine paste. Lightly smear both sides of the fish fillets with the paste and set aside. To make sauce, peel the shallots and chop roughly. Roughly chop the chilli pepper. Place all the ingredients, except the yogurt in a food processor or blender and process to a smooth paste. Place the mixture in a bowl and stir in the yogurt bit by bit until desired creaminess. To cook the fish, heat the vegetable oil in a frying pan or skiller over medium heat. Pan-fry the snapper fillets. To serve, place the snapper fillets on plates and spoon mint and yogurt sauce over. Serve with steamed basmati rice. With the start of the F1 Season we are ready to celebrate! 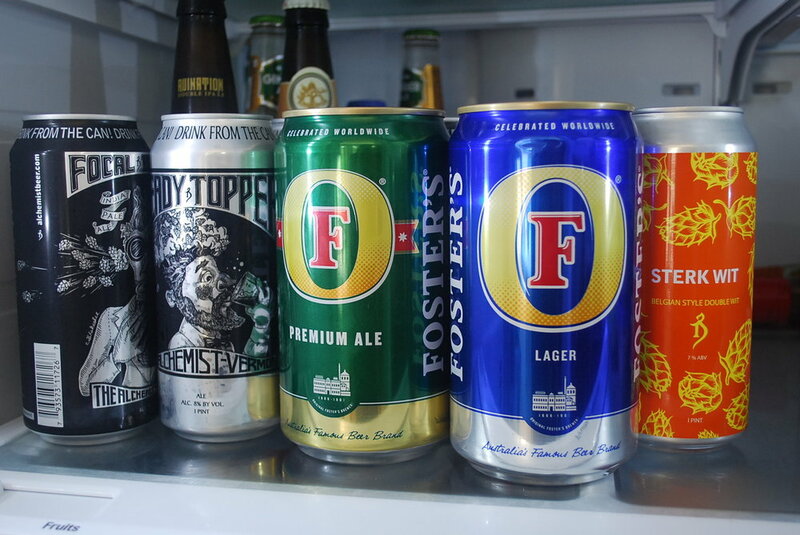 This year we invited a few friends over for an F1 Kickoff Party and some Aussie favorites including Aussie burgers with the lot, Anzac biscuits and our lovely friends brought cheesy bread, many beers, and pavlova! We put on an F1 Introduction YouTube playlist in the background which prompted a lot of great conversations, and we all had a chance to laugh at Kimi being his usual self and Alonso and Button bantering about what is appropriate behavior when borrowing someone else's F1 car. 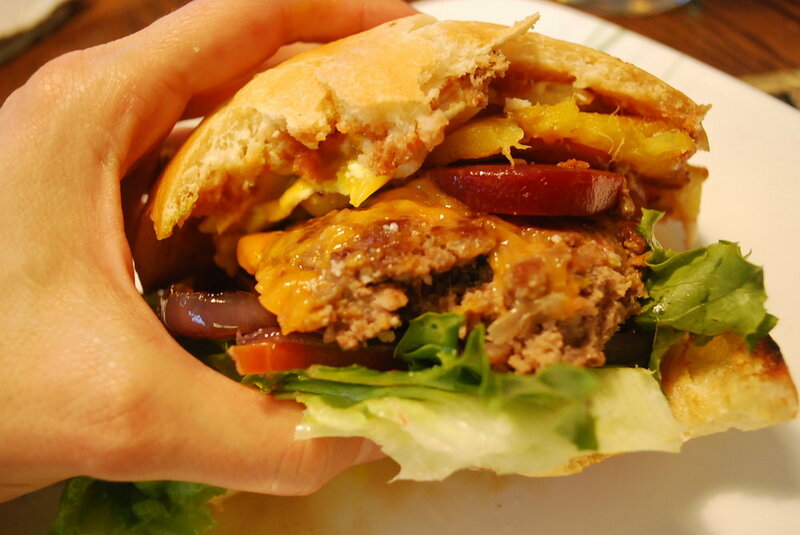 Aussie burgers are always a favorite. Each person made their own version, some more adventurous than others! 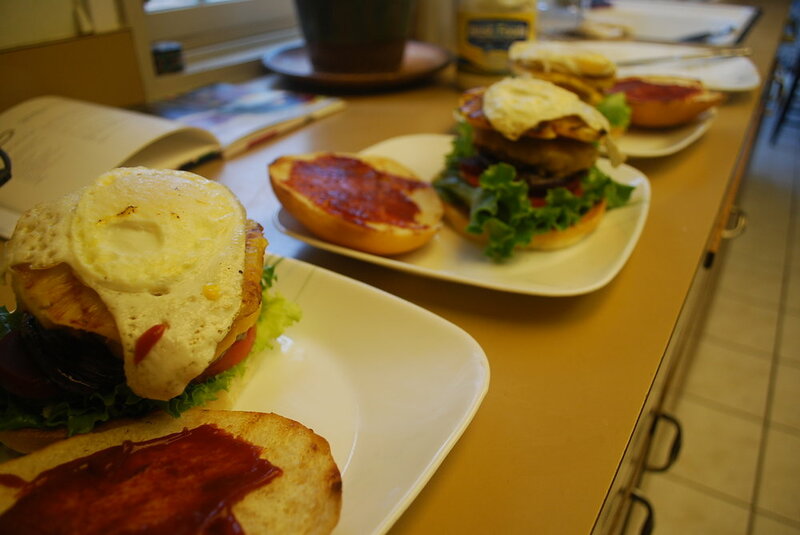 They were great with beef burgers, turkey burgers, fried eggs, pickled beets, onion, pineapple, pickles, all or none of the above. And we topped of the savory with some sweet. My lovely friends brought homemade pavlova and we made some Anzac Biscuits. "Anzac biscuits have long been associated with the Australian and New Zealand Army Corps (ANZAC) established in World War I. The biscuits were sent by wives and women's groups to soldiers abroad because the ingredients do not spoil easily and the biscuits kept well during naval transportation." These biscuits or cookies, whatever you want to call them, are super quick to make and a perfect finish to an Aussie themed meal. Mine turned out a little more like laceys, crispy, crunchy and caramelized. Which honestly was lovely, so no complaints here. If you try them let me know how yours turn out! Mix oats, flour, sugar and coconut together (if using sweetened coconut, reduce sugar by 1 tablespoon). In a small saucepan over low heat, melt the syrup and butter together. Mix the baking soda and the boiling water and add to the melted butter and syrup. Add butter mixture to the dry ingredients. Drop by teaspoons on greased cookie sheets (or baking paper). Bake for 12 to 15 minutes, checking after 10 to make sure they don't burn. They will be very floppy, let them rest for 5 minutes or so before moving them to a cooling rack to cool for another 10 minutes before enjoying. 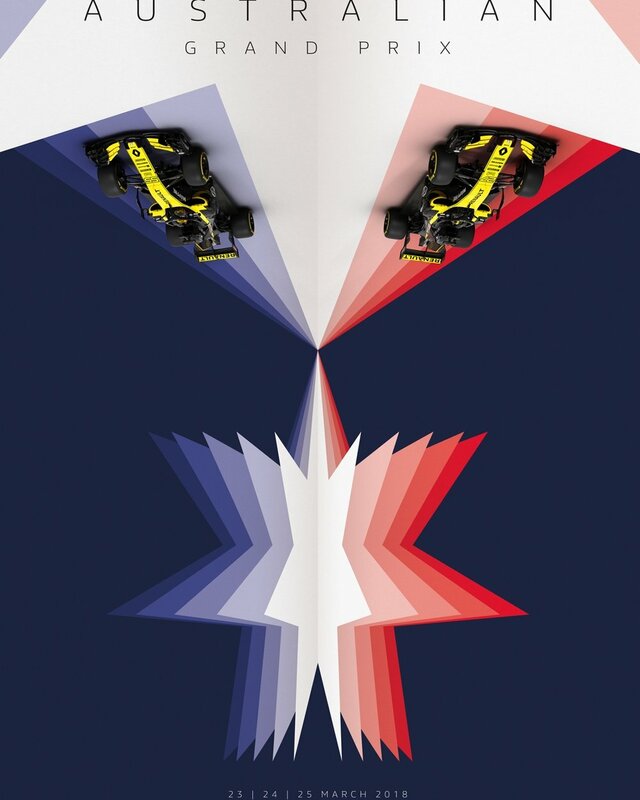 Renault and Ferrari are at it again with creating great posters for 2018! Excited to see what they come up with for the rest of the season. The first race of the new season is always exciting. Fanfare and speculation abound. It is so great to see the Sky F1 crew back together and hear Crofty and Martin's voices over the sounds of screaming F1 cars. 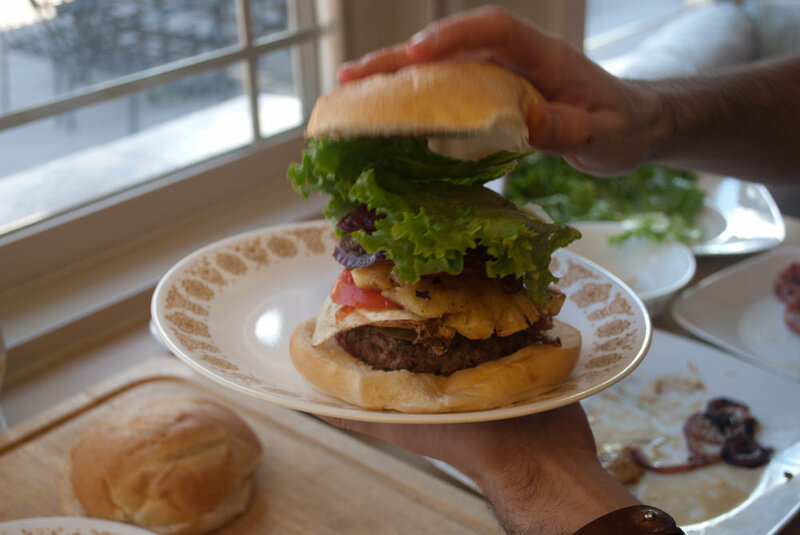 This year, out of tradition, and gluttony we stayed the course and made our all time favorite burger too big for your mouth: the Aussie Burger 'with the lot'. Here are some pictures just to make you jealous. Foster's has NEVER been in such good company. 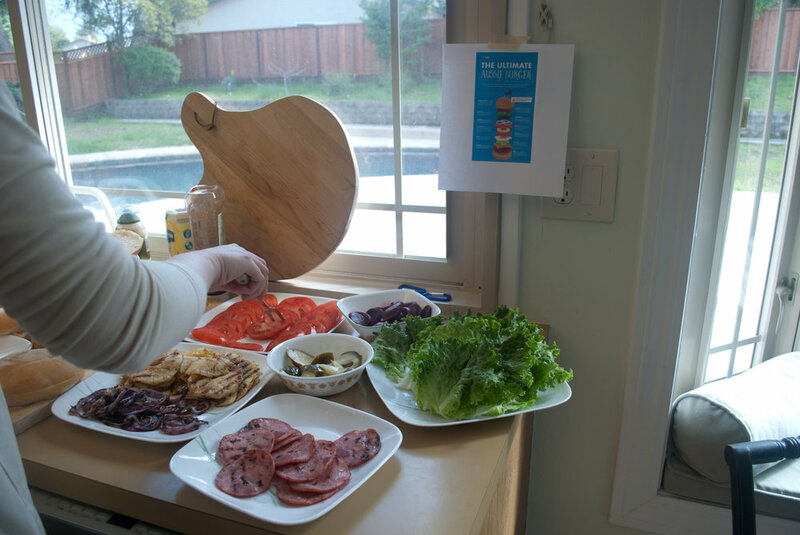 All the toppings ready to be assembled. A row of burger beasts. 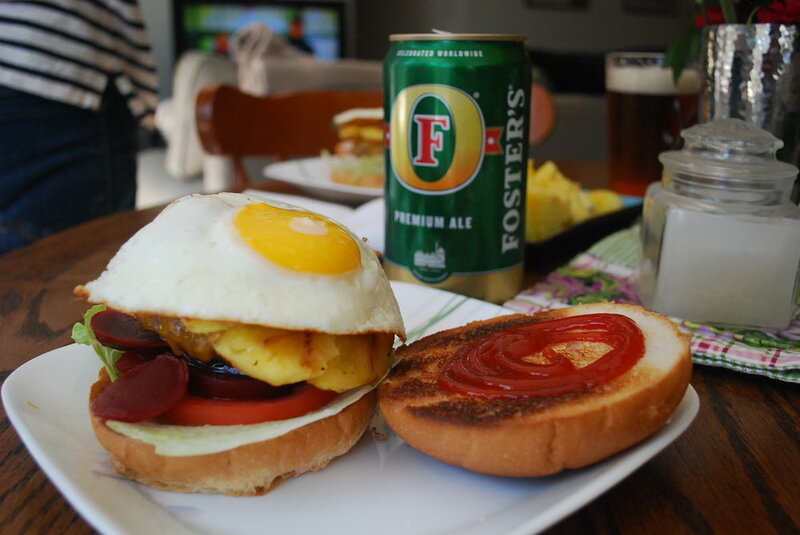 Australian Grand Prix - Burgers! 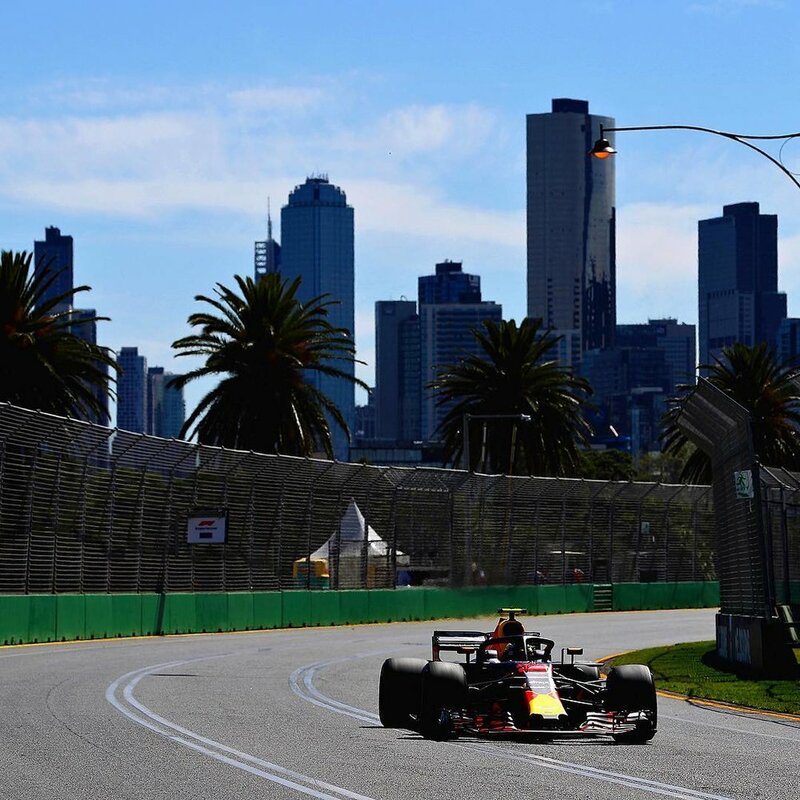 The Australian Grand Prix at Melbourne holds a special place in most F1 fan's hearts as it is the spring to our long cold winter. 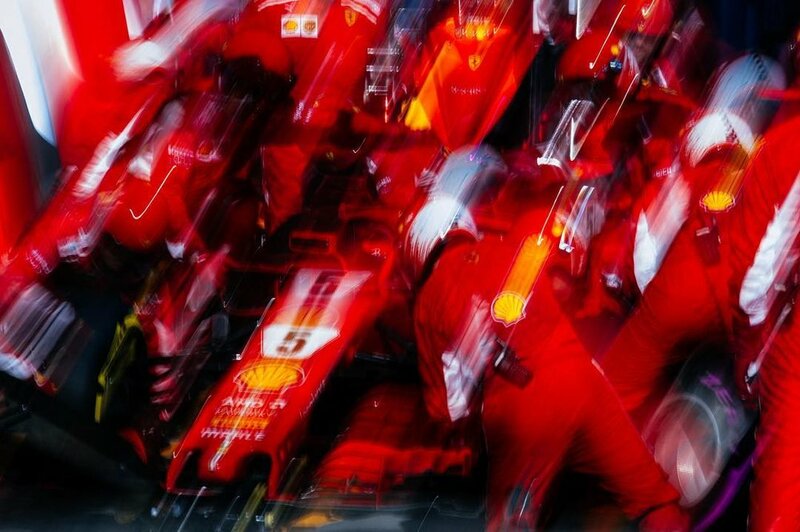 The first race of the new F1 season! 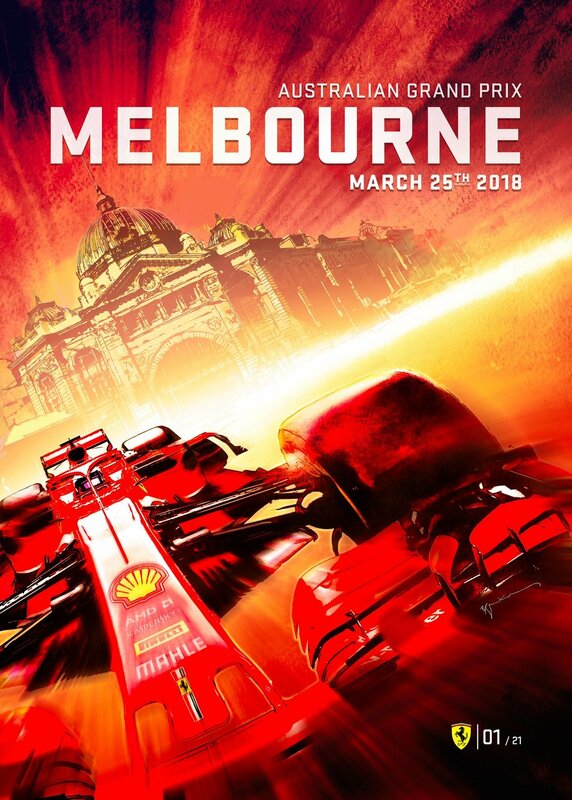 Not only do we get to look forward to seeing all the new liveries, and meet the new drivers... but we also get to have some Australian deliciousness, in the form of BURGERS. This my friends is the Aussie Burger "with the lot". And that is what SUCCESS looks like. We've been doing this cooking and eating with the races thing for 3 or 4 years now. This recipe has never changed. When you meet perfection... just go with it. Mix ground beef with chopped onion (slightly cooked if preferred), salt and pepper - mold into patties. Grill or pan sautee sliced onions until browned and a little crisped at the edges. 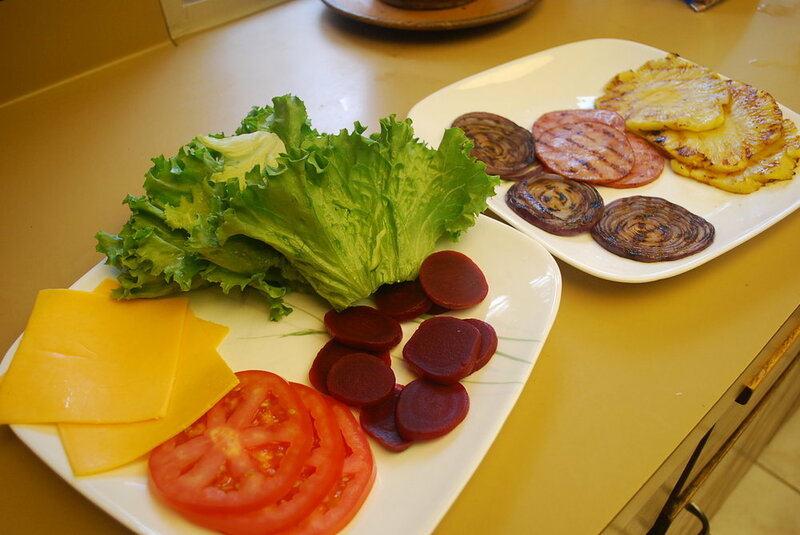 Grill or pan fry: pineapple slices and Canadian bacon. Grill or cook burger patty to medium rare or as you like it. Melt cheese on burger patty. 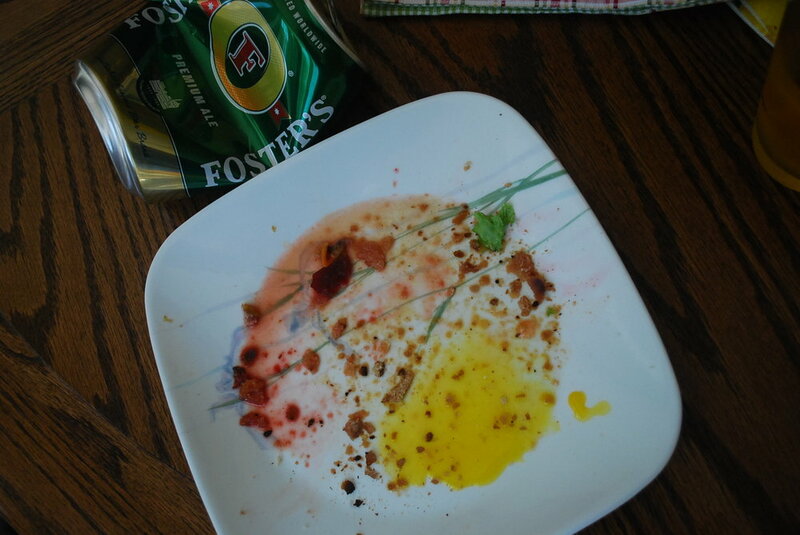 Pan fry egg until just done. 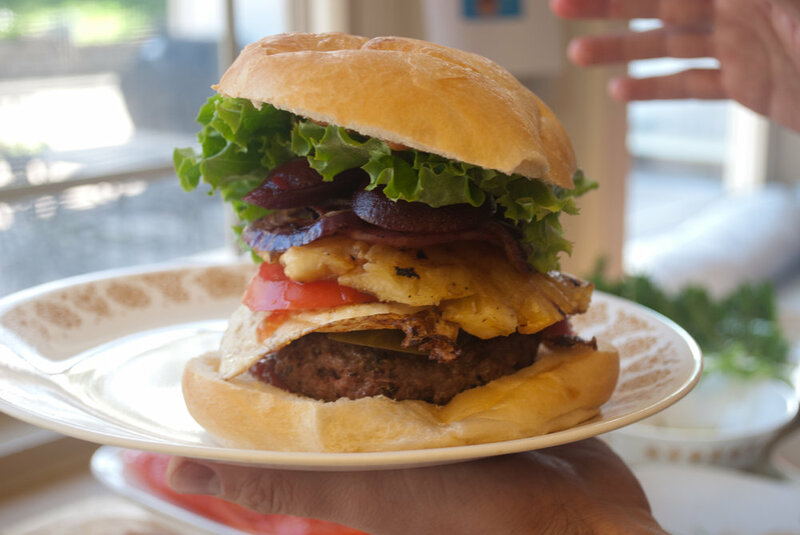 Pile on bun in this order: Bottom bun, mayo (optional), lettuce, tomato, pickled beets, onion, burger with cheese, grilled pineapple, Canadian bacon, fried egg. Ketchup on the top bun... try to hold it together and enjoy! 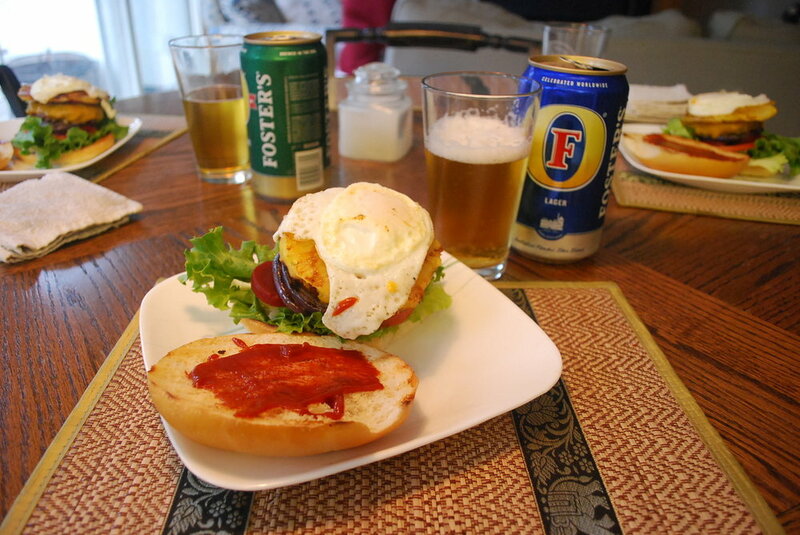 We like to serve this either with a cold Foster's (when in Rome?) or with a crisp glass of champagne, because there is not much better in life than a burger and bubbly.